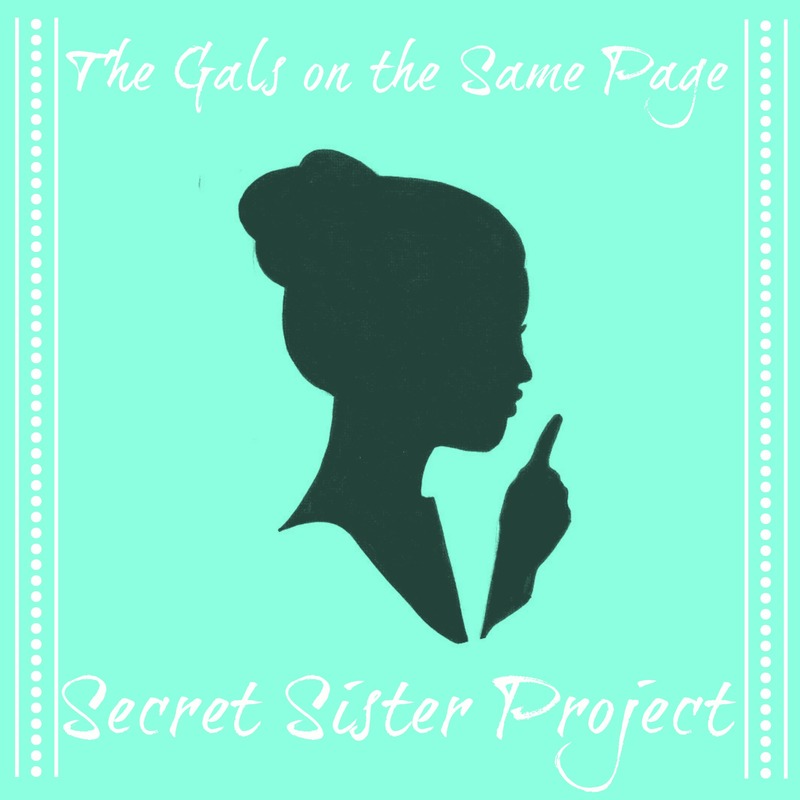 Well, after one very successful round of Secret Sister, Alyssa, Amy, and I as co-hosts for On the Same Page will be opening up sign-ups for a new round of Secret Sister TODAY! Thank you to everyone who made the first round SO successful — we had so many great responses and so many people excited to sign up for round two! You will be paired up with your secret sister by January 30. This session will run from February 1st – July 31st (this means that your last something will be sent in July). You guys! The only “rule” we have is that before signing up, you must “know” at least one of us. Us being myself (@bookaddictguide), Alyssa (@withthebanned) & Amy (@trippingbooks) and “knowing” one of us means that we must have spoken on Twitter or SOMETHING. We are just really concerned with someone not following through, and that would just make a bad time for everyone. We will NOT be limiting the amount of people who sign up for this round, though! It’s come one, come all! If you haven’t chatted with us before, start hitting us up on Twitter so we can chat and get to know you! // What will I have to do if I sign up to be a secret sister? Your OTSPSecretSister may also be buying you books and we can’t guarantee it will be someone you know well! If you have the time & energy to keep & maintain a Goodreads wishlist AND “currently own” books list, I’m sure it would help her out a lot! // Do I have to send presents? No, you don’t have to send anything big, this really is meant to be more of a cheering up sort of club. However, in the six month period we will be going through Valentine’s Day, Easter, and maybe your secret sister’s birthday! It is encouraged that you send one or two presents during these six months (think a book from their wish list, some Easter candy, or if you’re feeling really fancy, some flowers for their birthday!) but please don’t think of this as “Secret Santa every month”. We don’t want you going broke doing this! // Do we have to remain secret? // Anything else I should know? Use the hashtag and interact with one another! The whole point is to bring positive feelings into the our bookish community. Try and answer ALL of the questions below and be as thorough as you can, the more you share, the easier it is for your sister to spoil you! The best advice I can give you is to be creative. Some of the handmade and personal things meant so much more than just books so you don’t HAVE to send gifts just to show your Secret Sister you care! Some people exchanged letters back and forth, and even some baked goods. If you are looking for ideas, chat us up, we would love to help! We tweet from our own handles pretty frequently, but don’t forget to follow us all over at On the Same Page)! // So how do I sign up? EDITED: Sign-ups for round two are now CLOSED. Please check back in July for new sign-ups for round 3! Thanks to everyone for your AWESOME support and interest in this project! We are so excited to have so many people interested in round two of Secret Sister! Can’t wait to get it started! Secret Sister sign-ups are now closed and Round 2 is underway! Missed the sign-ups? Just finding out about Secret Sister and would like to join next round? Here’s what you need to know! // Yes, sign-ups are CLOSED closed. If we have people who are no longer able to participate along the way, we will simply re-arrange the pairs. I’m sorry, but we are not taking on anyone new mid-round! // The next round will start in AUGUST. Round 3 will run from August 1st, 2015 – January 31st, 2016. Unless we end up reassessing the project, duration and procedures will remain the same. // This means that sign-ups will mostly likely happen in July 2015. We kept Round 2 sign-ups open for 2-3 weeks and that seemed like a decent amount of time! We didn’t want to keep people waiting TOO long to get their matches. // We WILL be enforcing the “we need to know you” rule this time around. We let some people sign up in Round 2 that we didn’t know… but with so many people interested, we get a bit more worried and we just want to make sure everyone has a great time! If you don’t know Alyssa, Amy, or me yet — DON’T FRET. You still have time to get to “know” us. All we ask is that you start chatting to us on our blogs or on Twitter (@bookaddictguide, @withthebanned, @trippingbooks) so we know who you are and that you’re super interested in being a part of this project! // Follow any or all of us to find out when new sign-ups are opening! We will ALL be post a blog post and CONSTANTLY tweeting about it. If you don’t want to miss sign-ups, make sure you’re following us and you cannot miss them! If you have any other questions, send me an email! We hope to see you next round! On the Same Page: Secret Sister Project On the Same Page: Secret Sister Project | Round 3 Sign-Ups! On the Same Page: Secret Sister Project | Round 4 Sign-Ups! On the Same Page: Secret Sister Project | Round 5 Sign-Ups! This entry was posted in Blog Event, Books and tagged Blog Event, On the Same Page, Secret Sister on January 12, 2015 by Brittany. Yayyy!! Can’t wait to start this! I’ve been waiting for the sign-ups to open and I’m so glad that day has finally arrived!! Thank you for all your organization with this! YAY so glad! Thanks for joining us! I love the spending tier. Question: is that how much you plan to spend per month? Or on the whole 6 months? YES! I just sent my email… I cannot wait to find out who I have. This month is going to seem suuuuper long! Thanks for setting up another round of this! Really enjoyed being your Secret Sister, Brittany, and going to miss sending you goodies. This is a perfect way to spread some love that I think the blogging community could really use right now. Very excited! This is super awesome 🙂 Great ideas and thanks for putting it together! I’m sooooo excited you guys are hosting this again! It sounds like so much fun and I loved seeing everyone’s tweets. Sent in my email so I’m all signed up and super excited about it 🙂 I love sending mail and receiving mail. Plus I can’t wait to make some new reader friends! This sounds amazing. I am very interested. Ohhh I missed out by two days 🙁 I am currently reading the trending tweets and this sounds great. I have never heard of this before but this looks to be a great way to spread love and interaction in the blogging community. Please do a round 3! I just found out about this from someone on twitter and I think it is absolutely amazing. I wish I would have known about it sooner, but I’m hoping you will have another one. That’s my question basically, when, if you are, having another one? I would love to join in on that one! Thanks, Erica! Yes, we would be having another round start around July/August. Hope to see you join in!! 😀 We’d love to have you! Oh, this sounds super fun, and I always love trying to cheer people up with books. Hopefully, you do a round 3. This looks like so much fun and I absolutely love the idea. I’m just getting started with my book blog and I think this would be a great way to get to know a bunch of other book bloggers and have some fun at the same time! I look forward to the opening of round 3! When is the next sign up? I’m so excited to do this!!!! I found out about it on instagram.